Today I had a precious 30 minutes to Skype with my boyfriend, Sheldon. We have been apart for the past month and a half because I have been home in the Czech Republic with my family and he is in the States working at a landscaping firm. The time we get to spend talking are very precious and rare, due to the time difference and his busy schedule. 1) Remembering What They Look Like: A few moments of smiling and saying how good it is to see the other person's face, because we forgot what they looked like. There might be some comments from my side about how I think Sheldon's hair is doing: "It needs cutting" or "It looks pretty good!" He might say something very kind about how I look pretty, even though I feel like the web camera makes me look weird. 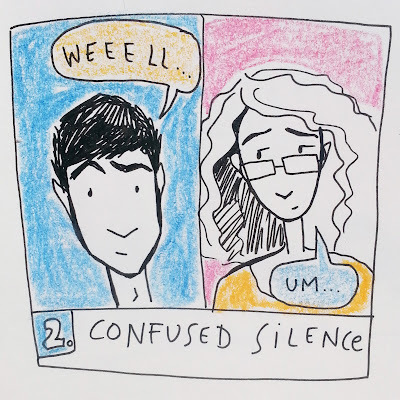 2) Confused Silence: Then for several seconds (sometimes minutes, if we are feeling particularly awkward) we don't really have anything to talk about. 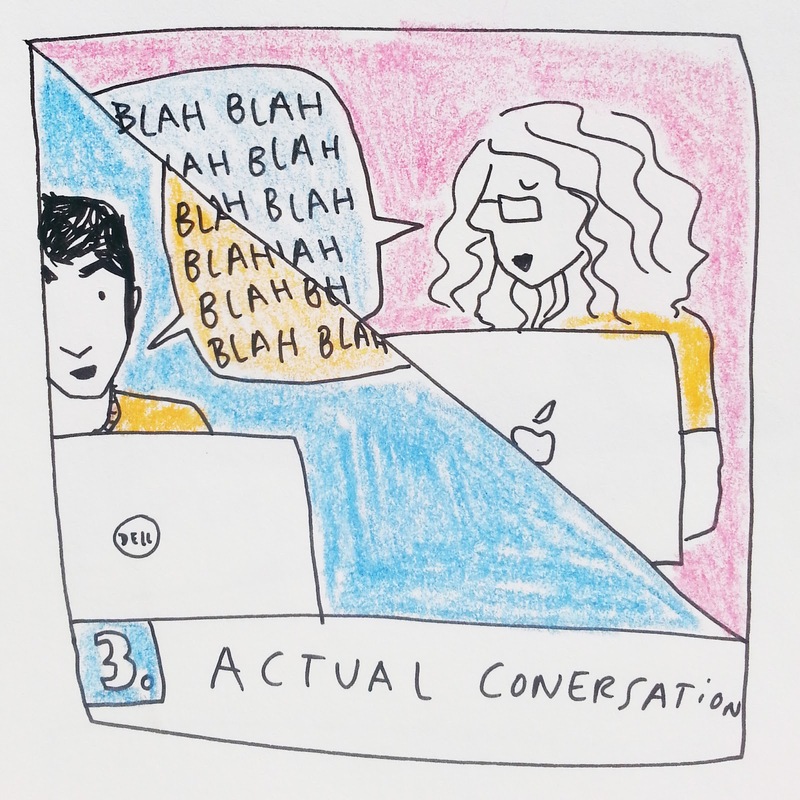 This is strange, because usually we feel like we have so much to say to the other persona and we wish they were there to say it to. This is the time when all of the important stuff disappears from our minds and we have to ask each other, "How are you?" 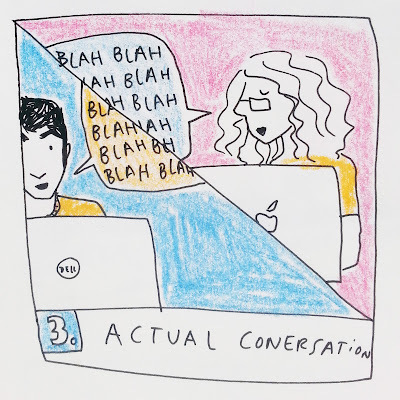 repeatedly until someone thinks of a good topic of conversation. 3) Actual Conversation:Now we will have finally gotten over the worst of the awkwardness and have hopefully made progress with some sort of topic. Today it was "Why Sheldon Doesn't Like Dogs". This was a productive topic, because we were able to fully uncover some of Sheldon's grievances with dogs (main objections being "They are gross" and "They are covered in hair and the hair gets all over") as well as examine a variety of our shared dog acquaintances to discuss the pros and cons of each. 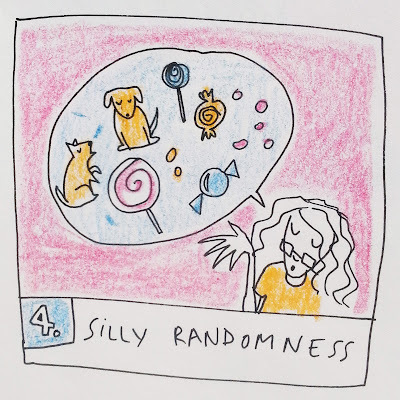 4) Silly Randomness: There comes a stage of our conversation which gets a little silly. This is often my fault if I am in a silly mood. The silliness in this instance involved me chastising Sheldon for choosing saltwater taffy as his favourite candy. 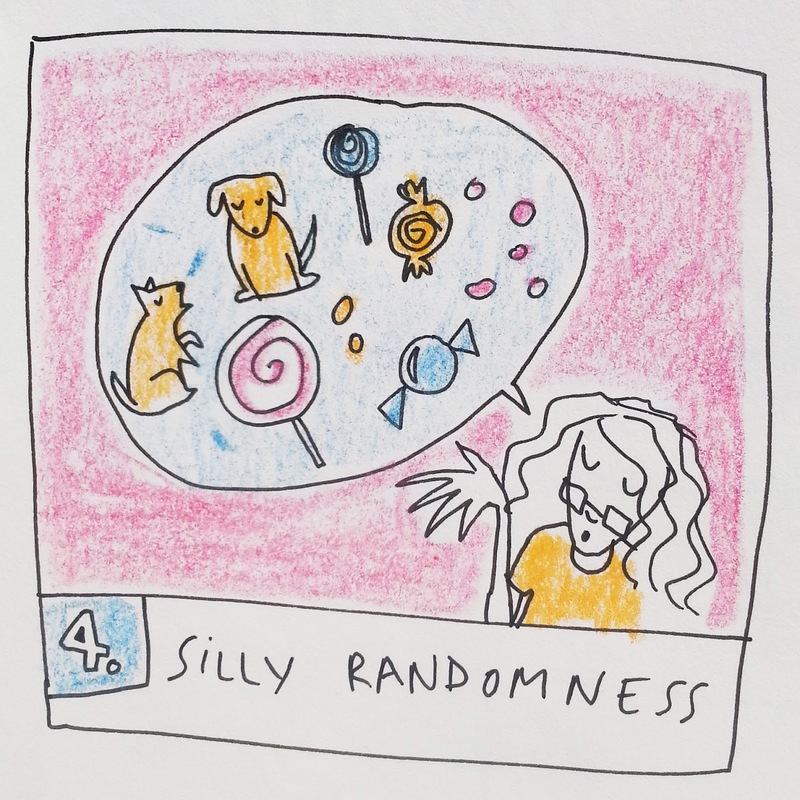 LR: That is a terrible choice for a favourite candy. S: I am sorry you feel that way. That's just too bad. LR: It is terrible because it is so hard to chew and you can never count on the consistency. It can be hard as rock one time and then soft and messy the next. Plus the flavours are gross. S: Well, it is still my favourite. Yup. Things get pretty crazy on our Skype dates. 5) Hard Goodbyes: The last step is the Saying Goodbye part. 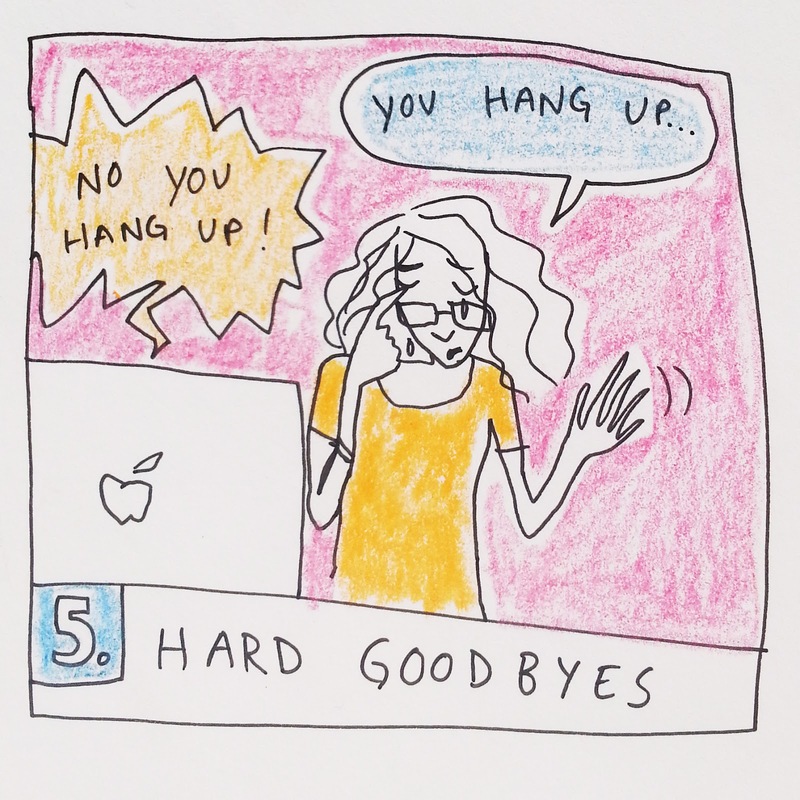 This is tough because I hate saying goodbye. That is the moment when the faint illusion Skype has created which makes you think that the person is actually in the room with you bursts. Then you really are sitting alone at your desk, which is covered in the papers you still haven't cleaned up since you finished your homework a couple of days ago. Usually it takes a few tries before we actually push the red hang-up button and burst the bubble. Sigh. So there you have it! That is what a Skype date with Sheldon is like. Oh, and just to be clear, sometimes we actually do talk about more important stuff than dogs and candy. But since we dealt with some of that last time we felt free to be a little more frivolous. Here is a random post about the time I got CPR certified. Here is another random post about the time I visited my grandparents in Texas. Here is yet another random post about meeting up with an old friend. Very entertaining portrayal of real life. This totally brings me back to long distance with Jonny. 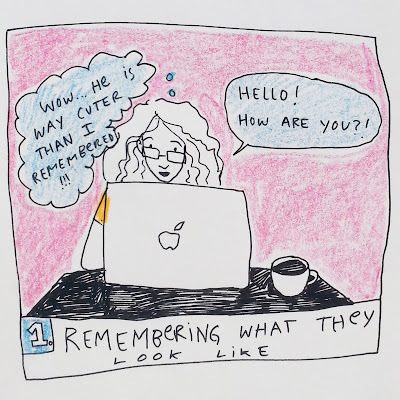 I'm so glad we aren't the only ones to have had that awkward skype silence. You described it so well! 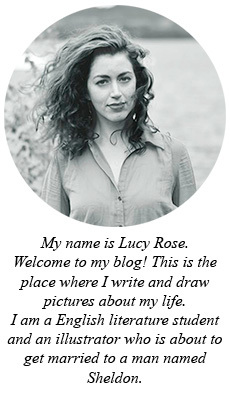 Lucy, you could illustrate a book even with your shorthand. It's just charming and winsome, and so expressive. And this post was just too good.